Comfortis side effects are associated most commonly with vomiting. Other possible reactions are depression, decreased appetite, diarrhea, itching, trembling, hypersalivation, and seizures. 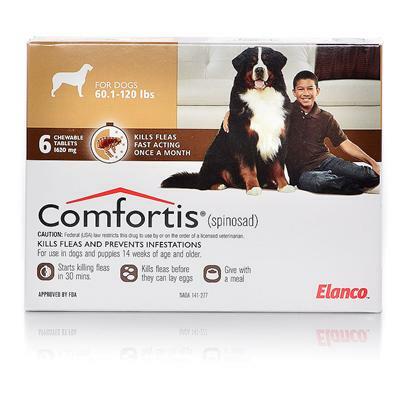 Comfortis may be used concurrently with heartworm prevention products, as they are directed. Administer correct dose monthly, as prescribed by your veterinarian, with food, year-round without interruption. If you miss a dose, immediately administer Comfortis and resume regular monthly dosing.